TLS commentary: How British Is It? “For centuries we have prized the same prejudices”, the vicar of an isolated Warwickshire village told H. V. Morton in 1926, “and we have grown up as naturally as my currant bushes out there. We were, you see, locked up here together with our fields and our imaginations.” So too has Britain been, for perhaps eighty-odd centuries, since the fertile mudflats of the Doggerland isthmus last sank beneath the waters of the North Sea: locked up here, with our fields and forests, our moors, our uplands, lakelands, heaths, hedgerows, dunes, bogs and beaches – and our imaginations. It did something to us. We grew up knowing that our landscape had edges. We wove the concept of the border, of here as opposed to there, into the psycho-ecology of our archipelago. “Natural historians have written . . . of ‘English’ birds or ‘English’ plants as though England were divorced from the stream of the world’s living things”, Geoffrey Grigson lamented in 1946, by which time it was much too late to do anything about it. Now, as we begin the process of extricating the United Kingdom from Europe as a political entity (noting in the process that it took the Storegga landslide – something heftier than a 4 per cent majority in a referendum – to sever us from Europe as a geophysical one), we ought perhaps to consider the place of nature – of how we think and write about nature – in the national narratives that brought us here. In 1917, when the poet Edward Thomas was asked why, at the age of thirty-seven, he had enlisted in the London Regiment (Artists Rifles), he knelt, scooped up a handful of English earth, and replied: “Literally, for this”. David Matless has noted that English earth was the key element in the “spiritual materialism” conceived by H. J. Massingham in the 1940s. “It is the interaction between man and nature which alone can make the full man at one in his middle status between God and the living dust of earth”, Massingham wrote. A photograph of a garden fork, a plot of dark earth, a rope-veined forearm and a handful of soil was used for Massingham’s book England and the Farmer (1941). Matless glosses the image simply: “Soil, blood, health, humus, England” (the echoes of German Blut und Boden ideology are more than superficial). Soil, as the tangible matter of a nation, is the backstop of nationalism, the literalist patriot’s bottom line. It isn’t very inspiring – when poets have written about soil (as Stuart MacGregor, for instance, does in “Scottish Soil”) its physical properties are considered secondary to its symbolism – but it is very useful because as a rule it stays still. Things that stay still – or appear to stay still – are important to nationalist ways of thinking. Soil does not migrate. It isn’t promiscuously international in the way that air and water are. We don’t have to share it, if we don’t want to. But because it doesn’t capture the imagination, we reach for proxies; instead of talking about soil, for instance, we talk about trees. In Where Poppies Blow (2016), his study of nature and the First World War, John Lewis Stempel contrasts the values of Britain, which were premissed on a “love of countryside”, with those of Germany, “a country of black forests, whose people’s patriotism was anchored in a belief in Blut”. “Countryside” here means farmed countryside – 75 per cent of Edwardian Britain was farmland, Stempel notes – but in modern nature writing, where neo-Romanticism holds sway and sublimity tends to trump the picturesque, British identity is more often sought in the thickets of forests than in ploughed fields and pasture land. “Woods”, writes Roger Deakin in his influential Wildwood (2007), “have become the guardians of our dreams of greenwood liberty, of our wildwood, feral, childhood selves . . . they hold the merriness of Merry England.” Deakin lays personal claim to what we might call a blood-and-timber lineage: “My mother’s name was Wood . . . . I am a woodlander, I have sap in my veins”. The realisation that a few big [yews] had survived the millennia in the privileged environment of churchyards dawned in the mid-eighteenth century, when antiquarians were ransacking the landscape for any signs of an early and indigenous British culture . . . . The quest for the secret of the yew is not an exercise in historical ecology, but a kind of spiritual genealogy, a yearning for Avalon. thirty-three species migrated back to Britain from what is now mainland Europe . . . . Then rising sea levels cut Britain off from Europe, the Channel ended tree migration and Britain was left with those thirty-three, now called our “native” trees. But what does “native” mean? The thirty-three did not include the sycamore, which arrived in the UK in the late 1500s (Gerard’s Herbal of 1597 characterizes the tree as “a stranger to England”); its widespread deployment as a windbreak tree resulted in the emergence of what the landscape historian W. G. Hoskins called “a very characteristic northern [English] scene: the low-browed farmstead . . . with a clump of burnished sycamores on the windward side”. The tree was yet more closely enfolded into British culture by Wordsworth (“A stately sycamore, / That spreads, in gentle pomp, its honied shade”) and Matthew Arnold (Hoskins’s “burnished sycamores”) and later Thomas Hardy (“I watched a blackbird on a budding sycamore / One Easter Day, when sap was stirring twigs to the core”). The tree achieved a late Britishness partly through stealth – how many people can tell the difference between a sycamore and a “native” maple? – but our ingrained tendency to assume that the trees that grow here belong here no doubt helped grease the wheels of the sycamore’s accession. The “hard border” created by our coastline has contributed to a curiously flawed form of British exceptionalism where natural history is concerned – a proprietary conception of “our” wildlife that might be justifiable in a genuinely unique island ecology such as Madagascar or New Zealand, but seems a delusion in an archipelago where only one vertebrate species (the Scottish crossbill, Loxia scotica) is considered endemic. New Zealand, by way of comparison, has more than seventy endemic bird species – plus the skylark, imported to the islands by British colonists. 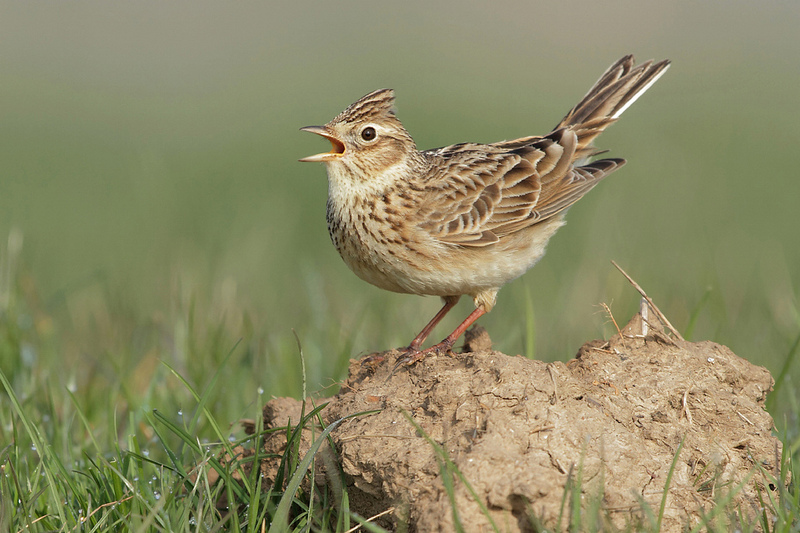 James Drummond wrote in 1902 that the skylarks were meant to help the Empire’s administrators “imagine that once more, hand-in-hand with friends of their childhood, they roamed the fields and pastures of Merry England”. It may be that the only thing unique to our natural history is the way we write about it: in 2015, the editors of the journal Ecozon@, preparing a special edition on European nature writing, were surprised to find that “‘nature writing’ was not a category that translated easily in the rest of Europe”: “The lone writer . . . making trips into the countryside for personal epiphanies of engagement or enlightenment . . . was not a common mode of literary production in mainland Europe”. The reality is that the wildlife of the UK is adventurously internationalist, jet-settingly cosmopolitan. We share it – with Senegal and Gabon, with the steppe and taiga of Siberia, with North Africa and the Mediterranean, with the Greenland littoral and the deep woods of Scandinavia, with every state of the European Union. “Everything is visiting. Nothing is native”, writes Fred Pearce in The New Wild (2015). Geoffrey Grigson characterized the parochial tendencies of nature writers in the 1950s as “parish habits”: “The habit of writing of Rutland plants or Cornish birds, as if nuthatches had to show a passport for crossing the Tamar” (he also wittily alluded to a Times headline which reported thick fog in the Channel with the words “CONTINENT ISOLATED”). A leaf through a bird book will show you that British-centric insularity is embedded in nature study: birds whose populations range across continents still carry names such as “Kentish plover” and “Sandwich tern”. Moreover, while we have generally been interested in ourselves, no one else has been especially interested in us. The American naturalist Edwin Way Teale made the point gently in 1971: “Few have been those from other lands who have crossed the sea to record in books their contacts with nature in Britain”. Our parish habits are difficult to shake off, if not in the science of natural history then certainly in its popular interpretation. This is natural enough: scientists and their institutions are geared for international collaboration, but nature writers are not. They have always had parishes – literal, in the Selborne sense, or otherwise – and their subject has more often than not been ecology in context, rooted in place. Newspaper “country diary” slots anchor themselves to a river, wood or reach of heath; field guides tell us only what we are likely to see (no one takes Birds of the World on a Cotswolds walk); writers write about what they know, and what they know is most often what is nearby. The country village – like the tree, a seemingly permanent component of the living landscape – has been the currency of such recent nature books as Mark Cocker’s Claxton and Stephen Moss’s Wild Hares and Hummingbirds. But a sense of place is a sense of permanence; again, our conception of our islands’ natural history is skewed away from the realities of dynamism and change and towards an ecology frozen in time, or pickled in spirits. As a consequence, we see a tendency in Britain to cleave rather needily to the dichotomy of “native” and “foreign”. Few are the voices echoing William Hazlitt, who, walking in Paris, found that “the trees, and grass, and wet leaves, rustling in the walks of the Thuilleries, seemed to be as much English, to be as much the same trees and grass, that I had always been used to”. Instead, newspaper reports frame ecological change in the language of invasion and colonization. “Even the movements of aliens that we’ve decided we like – such as, in Britain, the recent spread of little egrets into the South of England – are tagged as ‘migrations’”, Ken Thompson notes in his book Where Do Camels Belong? (2014). Books such as Thompson’s and Pearce’s make the persuasive case that movements of species are often problematic only because the ecosystems they affect have been denuded, weakened or isolated by human activity. From this, we might reach the conclusion that our wildlife occupies an unusual if not unique niche in our national identity. We – or anyway, our dominant conservative newspapers – tend not to oppose environmental damage per se; we do not often resist policies that harm (denude, weaken and isolate) our wildlife, but we respond fiercely when events – invasions! – threaten to make our wildlife less British. “Foreign” species are vilified for trespassing on “our” land; industrial deregulation that can only erode the resilence of “native” habitats is waved through. There are obvious parallels with the way the same mindset responds to the movement of human populations and the resilience of human communities, but those belong in another essay. Do we not already sing our love for and obligation to the land of the free and the home of the brave? Yes, but just what and whom do we love? Certainly not the soil, which we are sending helter-skelter down river. Certainly not the waters, which we assume have no function except to turn turbines, float barges, and carry off sewage. Certainly not the plants, of which we exterminate whole communities without batting an eye. Certainly not the animals, of which we have already extirpated many of the largest and most beautiful species. What do we love? Perhaps not, at heart, British birds, or British mammals, or British insects or wildflowers or trees, but, rather, the extent to which these shore up or act as a keystone in our jerry-built sense of what it means to be British. Nature, as a rule, disregards political borders. Sometimes, of course, its borders and our borders follow, by coincidence or for reasons of topography, the same lines – and at other times we oblige wild things to conform with our borders, by building fences and walls (in 2015, New Scientist reported that barbed-wire barriers strung along Croatia’s borders with Slovenia and Hungary were having a damaging effect on local lynx and roe deer populations). And it wouldn’t be quite right to say that nation states are of no relevance to wild species: a turtle dove in flight over Britain, for example, is a more fortunate turtle dove than one entering the crosshairs of trigger-happy Malta. But in general the borders themselves are an irrelevance. There is a sense, then, in which territorial boundaries are a product of instinctive nature (although of course that does not in itself make them right). Speaking about his work to the journal Ecozon@, Hoffman said that “the wild animals of the area were living across [human] borders, staying true to habitat and ancient patterns of movement” – but that does not seem quite accurate. In fact, it sounds more like a human conception of a border than an animal one. Animals may conform to ancient patterns of movement, but that isn’t the point of their borders; their borders are simply a function of where they happen to go, and where they go a function of where they need to go. Their nation states are ad hoc, their sense of Lebensraum instinctive rather than abstract. Hoffman quotes Myrsini Malakou of the Society for the Protection of Prespa: “You can’t say that the national border is more important than any other. There is a geological border here, between limestone and granite, an ecosystem border between wetland and upland. There are borders of interest and activity – the fisherman, the farmer, the environmentalist. Borders are a limit or a challenge, a restriction or an opportunity. Where there are borders, there are bridges”. Boundaries in nature are subtle and porous, nuanced and subject to endless change. The contrast with our own – as in Britain we now prepare to ink our borders in a double thickness on the map – might be instructive. Horatio Clare’s memoir A Single Swallow (2009) dramatizes this contrast. Clare’s overland journey from South Africa to England, tracing the springtime trail of the migratory swallow, is among other things an uncomfortable ride through the hindrances created by nation states: the Niger–Algeria border is closed, the Algeria–Morocco border is closed, the borders of Congo and Cameroon are rife with confiscation and extortion . . . and while the swallows zipping easily overhead can’t be said to have no problems at all, those they do have do not seem to relate to freedom of movement. With which borders – whose borders – should conservationists comply? This depends to some extent on whether one values the animal in its own right or only the animal in Britain (or the US, or Australia, or Papua New Guinea). But even if we see value only in an English skylark, and not in a French one, we’re still faced with the reality that air, water and climate (and foreign and trade policy, come to that) are no respecters of passport control. In this context, borders can be an obstacle, to be bashed through only with difficulty – as with the EU’s Water Framework Directive, which acknowledges that “rivers do not stop at national frontiers” – or a shield, deployed in defence against a botched one-size-fits-all measure such as the Common Agricultural Policy, the failure of which with regard to the environment fostered a quiet pro-Brexit sentiment among many conservationists. This latter position aligns with the views of the novelist and eco-Brexiteer Paul Kings­north, suspicious of Brussels and, he told the New Statesman in 2016, “instinctively in favour of small groups of people running their own affairs” (he was dubbed “the literary wing of UKIP” by the academic John Gallagher). Perhaps the key question here is what we consider “our own affairs”; whether what I do upriver is any business of the people downriver. Kingsnorth characterizes national identity in terms of opposition, even antagonism. “[Scotland and Wales] are small countries that were attached to a bigger country”, he said in the same New Statesman interview. “They define themselves against that. So what does the bigger country, England, define itself against?” His novel The Wake (TLS, June 27, 2014) is narrated in a faux Anglo-Saxon “shadow language” by Buccmaster, a freeman of Lincolnshire who rails against the Norman yoke and condemns a king – William I – “who spac not efen our tunge and ate not our foda”. Buccmaster is a creature of English earth: “i was grown from this ground the ground they has tacan my ground from me all that i is they tacs all”. Soil again – soil, the last resort. Soil is what will remain after everything falls apart. That, at least, seems to be the hope. “Nature hasn’t noticed it’s in crisis”, Kingsnorth says. “If we crash the whole system, it will recover in a few million years and start doing its thing again.” There’s none of the rather madcap ecological can-doism of, say, George Monbiot’s Feral here – no visions of elephants trampling English downland or self-starting young woodland springing up on Scottish moors. There’s no hope, it seems, of rescuing Britain, whatever “Britain” means. “There is almost an inverse proportion, in the twentieth century”, Raymond Williams wrote in 1975, “between the relative importance of the working rural economy and the cultural importance of rural ideas.” We never longed for the land until we moved to the city; we never knew what we had until it was gone. Now our ideas about our country’s nature are channelled through throwback mythology and camphor-reeking nostalgia. We fuss over the curation of a countryside we recognize from our childhoods (or our grandparents’ childhoods) – or maybe we let the lot burn, until only English soil remains. The danger is that we may be left without a vision of a living British landscape – a landscape embedded (politics notwithstanding) in the resilient ecology of Eurasia, capable of change, and growth; of becoming new.